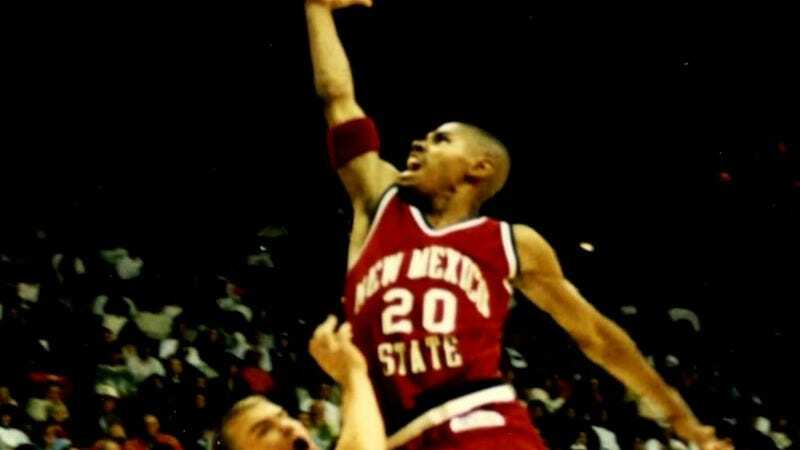 In 1994, Shawn Harrington was one of the many talented athletes on the Marshall High School basketball team who was profiled in the award-winning documentary Hoop Dreams. The film was a surprise commercial success, and was even nominated for an Oscar; but the fame didn’t faze Harrington, who attended New Mexico State for a while before returning to his hometown to focus on raising his family. In 2003, Harrington’s mother was killed in a home invasion. Despite his loss, he found the time and energy to teach special education and coach basketball at Marshall Metropolitan High School. Then, in January of last year, Harrington was stopped at red light with his eldest daughter when two gunmen opened fire. He used his own body to shield his daughter until the shooting stopped. Although she was spared, he was pierced by two bullets and ended up paralyzed from the waist down. That tragic event resulted in a tremendous outpouring of support for Harrington, which continues today with a new fundraiser. A RocketHub campaign has been created to raise $75,000 to cover Harrington’s medical and transportation expenses, including computerized legs by ReWalk Technology. You can watch this local news video to learn more about Harrington’s incredible story, and then donate on the campaign page.